The following tutorial describes Depth of Field effects and how it can used to enhance your LightUp images and draw the viewer into your work. Combined with realtime postprocessing such as Vignette produces eye-catching results. For a particular aperture, there is a viewing distance where the image will be sharp, with things closer or further away from this getting progressively more out of focus or blurred. 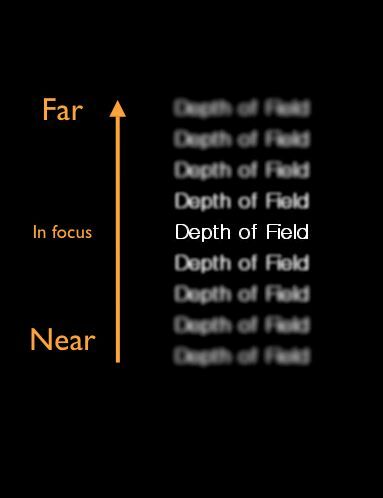 The range of distances for which the image is sharp is known as "Depth of Field (or DOF for short).". For a very small aperture (a so-called 'pinhole camera'), the range of distances within which the image will be sharp is effectively infinite, but as the aperture gets larger, this range of distances becomes smaller and smaller. Most cameras are not 'pinhole cameras' but have a lens and aperture that produces an easily visible DOF - so we have the distance at which things are sharp and the rate at which things become blurry from this distance which we'll be wanting to control. 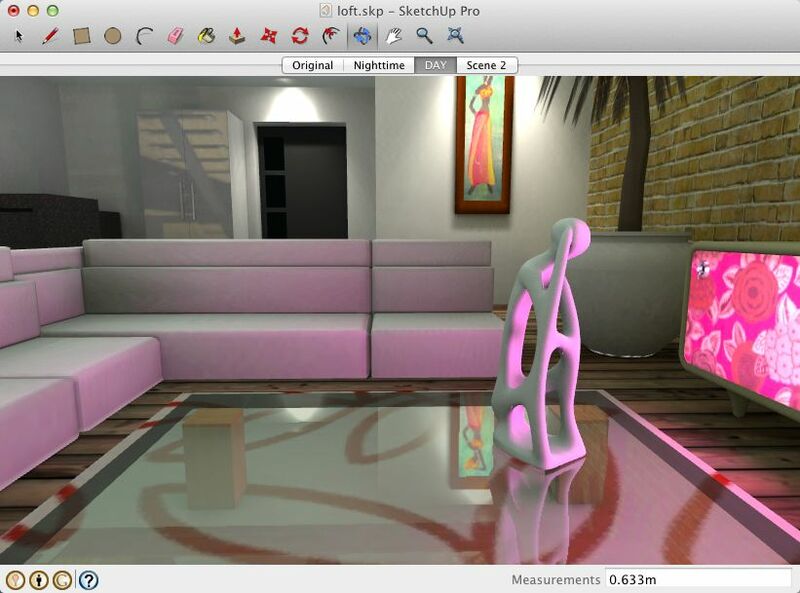 While LightUp is a digital renderer, it can emulate the optic effect of Depth of Field in realtime. Depth of Field can be used to great effect to concentrate the viewer's attention on a particular element of your pictures. 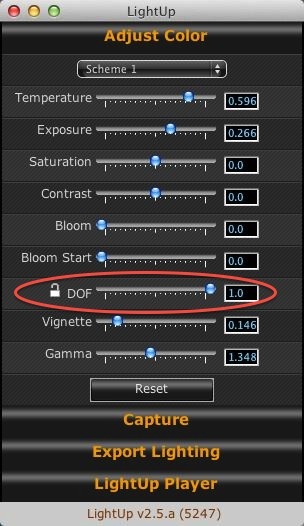 LightUp has a number of controls to allow you to make best use of DOF effects. 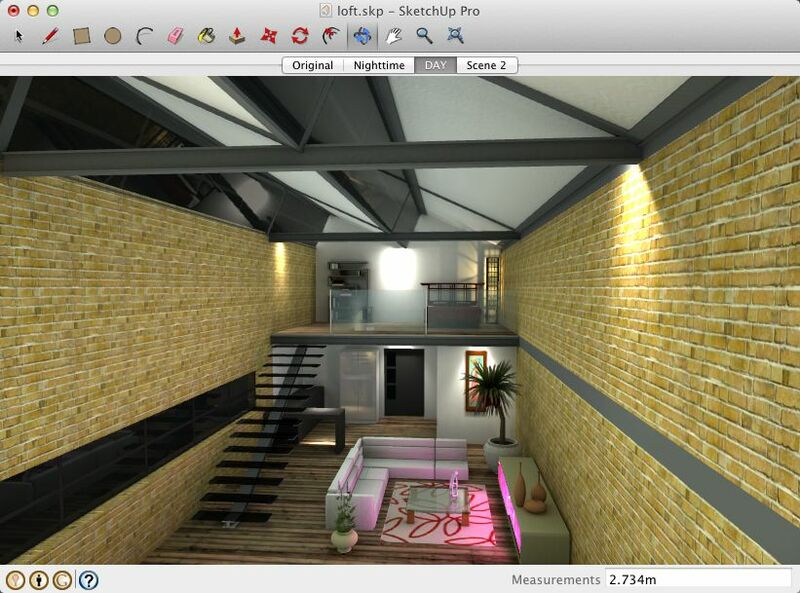 This SketchUp model of a loft apartment is going to be our testbed. But here we want to focus on some small element of the model - the small alabaster sculpture on the glass table. We want the context of the loft, but we want the viewer to focus on what we want and not wander off. So we'll use LightUp's DOF controls to keep our subject matter in sharp focus and the rest blur out. Opening up the Capture dialog you can start sliding the DOF control to the left to narrow the depth of field for the image. As you pull in the Depth of Field, you may find not much changes. The reason is that LightUp is constantly performing a range finding test from the center of the screen into your model (its marked with a very small red square), and based on this distance, constructs the DOF filter. If your camera is pointing at something quite distant as is the case here, little effect with be visible. If you alter the camera viewing direction to gaze at something nearby, you'll see the DOF effect come into action. The dynamic range finding means as you move around the model, LightUp will constantly be focussing (keeping sharp) what you're looking at. This is useful, however sometimes you want to fix a focal distance and be able to move around dropping objects out of focus. To do this, LightUp has a special "padlock icon" next to the DOF slider that allows you to lock the current focal distance. When the padlock is Unlocked, the focal distance is dynamically calcuated based on the camera view, when Locked, the focal distance is fixed. So here we point the camera at the statuette, lock the focal distance, and then move the gaze back to where it was originally. We then get the framing shot we want and the objects we want in focus.